When taking GIS 203 (Cartography), my final project was creating an orienteering map with GIS Desktop using the International Orienteering Federation (IOF) cartographic standards. The map’s purpose is to teach orienteering to first year Scouts in order to pass specific requirements. As a result, the map is part of a two-page product containing information about calculating a bearing, estimating height, and space to enter control point information. For GIS 295, I want to explore how to create the same map with the same features with a general purpose map creation tool such as ArcGIS Online and a specific orienteering map creation tool called Open Orienteering Map (http://oomap.co.uk/). I plan to use the three blogs required to describe how the orienteering maps are created with each system – ArcGIS Desktop, ArcGIS Online, and Open Orienteering Map. OpenOrienteeringMap (OOM) is a custom version of Open Street Map created by Oliver O’Brien that uses many IOF cartographic specifications (IOFmapping). The purpose of OpenOrienteeringMap is to easily create orienteering maps using the OpenStreetMap spatial data set of the world and the map rendering toolkit Mapnik. The displayed view is dynamically created in one of four base map configurations as the user pans or zooms in or out in supported fixed-scale intervals. Scales 1:7000 and 1:14000 (zoom levels 16, 15) are most commonly used for orienteering maps. The displayed scale can be used to generate PDF files with associated features. Select “Global” for North America and focus on the Fraser Preserve in Great Falls, Virginia, at 1:5000 scale. Select Landscape or Portrait, click in the desired map center. If necessary, drag the blue marker to re-center the map. A frame will appear over the base map in portrait or landscape orientation. On the right, click the pencil edit icon to display the map title. I entered Camp Fraser Orienteering, then press OK.
Click OK and save the automatically downloaded oom.PDF file located in the Download directory. 9. To retrieve the above map, enter the code 5668f7ca777e5 into the “Load saved map #:” and select the “Load” button. 10. To delete the above map from the display, select the “Delete Map” button. For orienteering applications, the created map product will have to printed and used off-line. OOM makes PDF map file generation easy using the “Save and Get PDF Map” and “Show Clue Sheet” buttons. 3. Click “Print clue sheet” to display the print prompt and output the file as a PDF. 4. Incorporate the two PDF files into a complete orienteering document. As evident from the above procedure, it is easy to create a usable orienteering map. The base map is at a small enough scale to map a small area. Many cartographic features, including trails, roads, control points, start/end point use IOF cartographic standard. There are some things missing from the map however; 5 meter topographic lines, exact IOF-specified land features, and free text labeling. Since the Open Street Map doesn’t have topography, it would be too processor intensive to dynamically render topo lines. Because of this dynamic rendering of the custom maps, a high-speed Internet connection is necessary. Creating custom maps using the free OSM spatial data set and a private data set containing unique cartographic features makes OOM possible and a powerful paradigm. 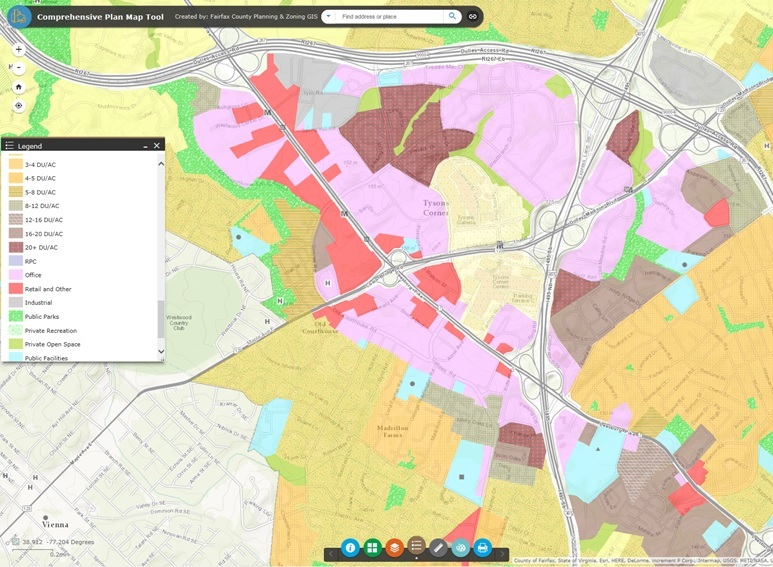 As a result, thematic, web-based mapping that addresses the needs of specialized communities is now possible. In my first term project blog post, I described how I used ArcGIS Desktop to create an orienteering map in the Fraser Preserve, located in Great Falls, Virginia, to be used as part of a two-page instructional product for first-year Scouts. This map was my term project for GIS 203, Cartography. I used the International Orienteering Foundation (IOF) cartographic standard for land features, control points, trails, and roads. This term project blog #2 describes my efforts to recreate the same map using ArcGIS Online (AGO). The base map ultimately selected is called Topographic. Supplied by ESRI, the map service includes administrative boundaries, cities, water features, physiographic features, parks, landmarks, highways, and roads overlaid on land cover and shaded relief imagery. The advantage of this base map is the 1:4000 scale, which provides good detail for an orienteering application. Unfortunately, this base layer has 3-D shading and has a color distinction between private and public land, which isn’t compatible with the IOF cartography standard. I discovered the salmon colored co-centric circle symbol in the cartographic set is the closest in color and shape to the IOF standard, which calls for a purple co-centric circle figure with a dot in the center. The orienteering course start and end point triangular symbol was selected from the cartographic set. Again, this salmon colored triangle symbol with a diagonal line does not match the IOF symbol, which should be a purple triangle. The symbols size and opacity can be changed, but the color is fixed. The “Map Notes” AGO layer is the method I used to add control point number text. The size, color, and placement are modifiable and colored purple to conform to the IOF standard. I could not make the map look exactly as the ArcGIS Desktop version as there were not as many modifiable features. The open area regions were overlaid on the base map and opacity was set to allow the background features to be visible, which causes the colors to be merged. The private property Camp Fraser section is displayed as white, which is not compatible with the IOF standard. The only viable AGO output option is doing a screen capture. Another possible option is open the AGO data using ArcGIS Desktop. Reliance on ArcGIS Desktop is still necessary to generate many map features, making AGO not completely an independent web-based application. Performing these operations required a lot of AGO training and practice, probably not what a casual orienteering organizer is willing to undergo. This work led to a presentation made at 2012 Sloan Sports Analytics Conference, an annual gathering of statisticians and coaches at MIT. NBA coaches saw the value of the spatial patterns generated. A company called Stats teamed with Goldsberry to build a 3 camera-based system to track players and provided much more detailed information. In September 2013, Stats sold SportVU to the NBA for $100,000 per arena. With the spatial patterns generated by this system, spatial data analytics at the basketball court (micro) scale is now possible. This application takes mapping to a micro scale measured in feet, within a room, and not miles across counties, states, or countries. As a result, new mapping applications are feasible to show spatial patterns as long as the data is available! 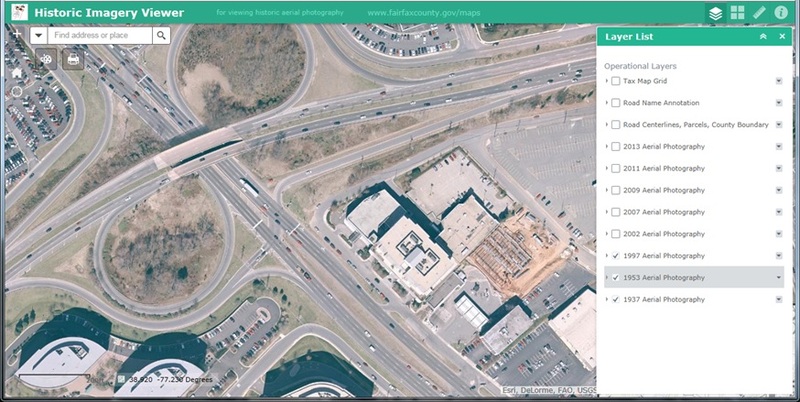 On Wednesday, November 11th, Greg gave an excellent presentation about the Fairfax County GIS office where he works as an analyst, that supports both county GIS users and the public. He mentioned the specialized, web-based maps his office produces available online at the Fairfax Geo-Portal Page:(http://www.fairfaxcounty.gov/maps/geoportal.htm). 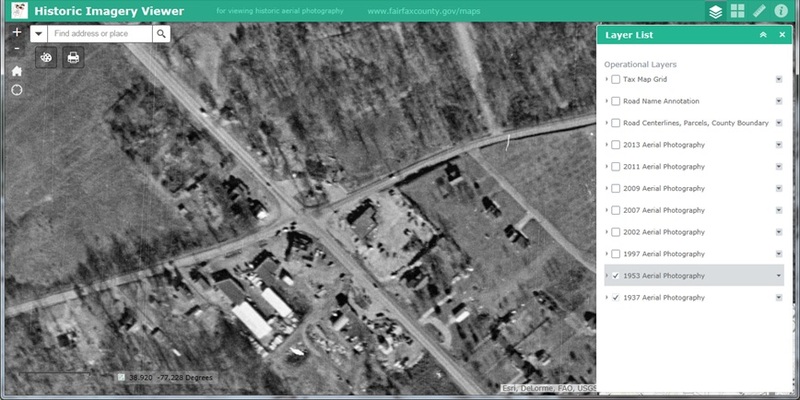 I enjoyed reviewing the maps, especially the Comprehensive Map Plan, Walkway Maintenance (Greg specifically mentioned this map) and the Historic Imagery Viewer. One area of Fairfax County I’m interested in is Tyson’s Corner, having worked there for almost 20 years. The area is undergoing a significant transformation with the metro arrival and more residential housing being built. 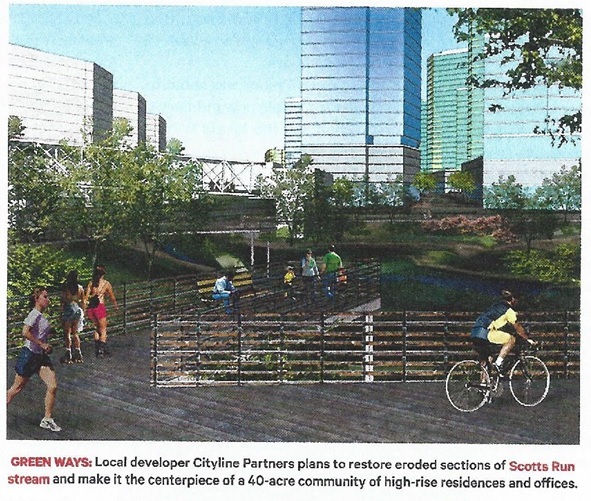 Tyson’s Corner is changing from a car-oriented, office and shopping center to a high-density, mixed-use area that hopefully will be increasingly pedestrian friendly. If better location accuracy is required from high-precision sensors such as survey/commercial class GPS receivers, laser scopes/meters, and RFID tags, if equipped with Bluetooth communications link, they can transfer data to any Android or Apple smart phone. 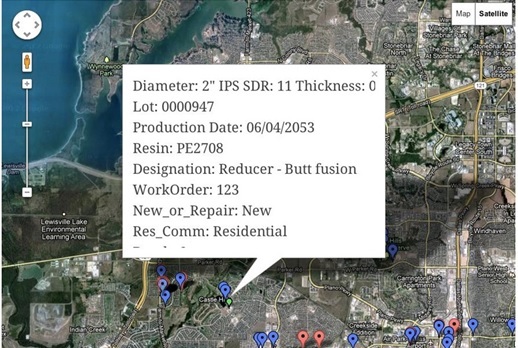 With these hardware and software components working together, mobile GIS enables mobility, real-time connectivity, and broadened usage. Traditional GIS assumes a fixed location for the workstation performing GIS functions and the user’s current location doesn’t factor into geographic data. Mobile GIS allows data to be captured, stored, and managed in remote locations. Information can be uploaded and downloaded between mobile devices and central servers via wireless link. This cellular or Wi-Fi communications allows for real-time connectivity, which makes interactive services possible with dynamic updates. Mobile GIS provide functionalities to a wider public with no GIS professional knowledge. 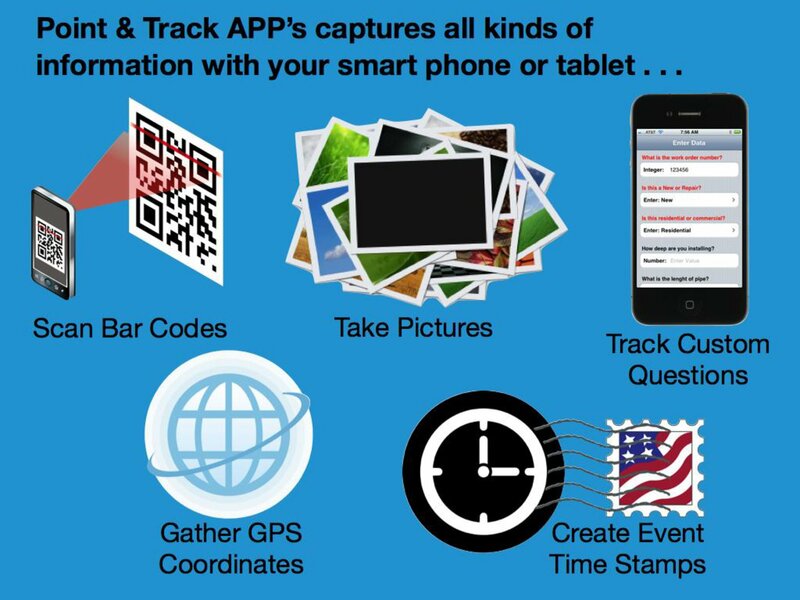 Viewing maps, finding nearest facilities, way-finding, delivering location-related messages, and mobile games are just some of the applications possible. GIS Day – It’s Kind of a Big Deal! This year’s GIS Day is Wednesday, November 18, 2015. 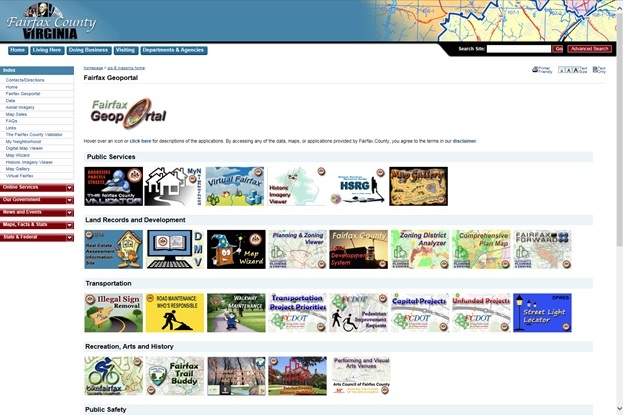 In addition to the activities taking place at GMU on Wednesday, Thursday, and Friday (https://cos.gmu.edu/ggs/), there are 21 additional events scheduled in the DC-Northern Virginia-Suburban Maryland region according to www.GISDay.com. On the main page, an interactive map allows you to pan around the world to see all the events that have been registered. It’s interesting to read the event descriptions taking place! 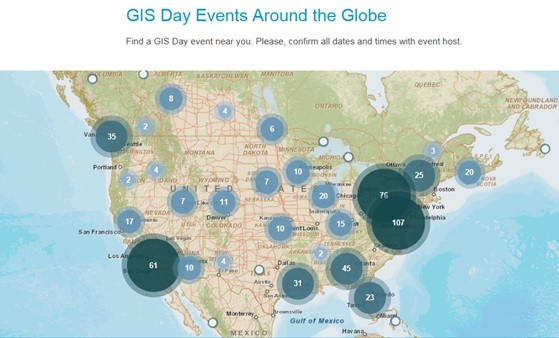 Within the US, the most GIS Day events are located in the mid-Atlantic area and southern California (home of ESRI) is third. There is an event registered at the ESRI headquarters in Redlands, California, but it may be a mistake, as it is listed as “adkdj” (see below). I sent a note to the email link listed in the dialog alerting them to the issue. There is only one GIS Day event registered in China, hosted by the Hong Kong Geographic Information System Association.. The Mongolian Geospatial Association is also hosting an event and has done so for the last six years! Both Alaska and Hawaii each have three events registered. NOVA has hosted GIS Day activities starting when the Geospatial Studies Department was organized by Dr. Krimmer with speakers from NGA, ESRI, Spot Image, and many other companies. Pictures hang in the Reston Center of local politicians who visited during previous GIS Days. Attended by both college and high school students, it has been a great opportunity to interact with GIS subject matter experts and eat some “interesting” cake! I believe the following picture is from the 2012 GIS Day. Over the years, I brought my two sons when they were young to NOVA GIS Day events. My older son now does mapping for an environmental engineering company and my younger son is a senior geography major at University of Mary Washington. 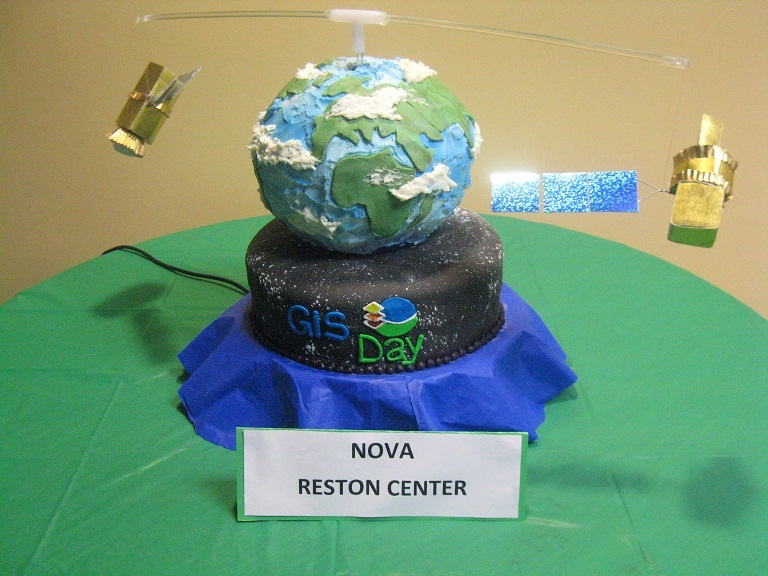 I believe GIS Day events at NOVA played a small role by allowing them to “hang out” with GIS people and learn about the field. I encourage everyone to bring a guest to this year’s GIS Day, especially a young person, who is considering career choices and might consider the geospatial sciences! Nick’s initial map version was of Reston centered on the NVCC-Reston Center with the silver line and tree cover layer enabled with the World Topographical map as a base map. 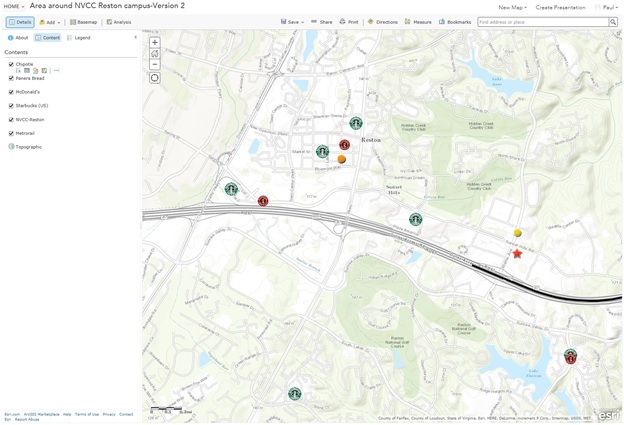 Called “Area around NVCC Reston campus”, I added features that might be of interest to students, such as local fast food restaurants and cafes in Reston retrieved from the ArcGIS Online server. To emphasize the local roads, the tree cover and non-county trails features were removed. 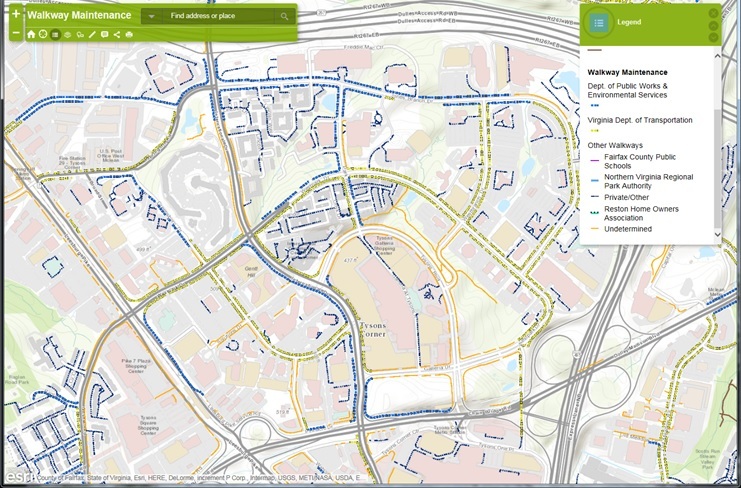 I also added the campus location as a reference point and renamed the map “Area around NVCC Reston campus Version 2”.